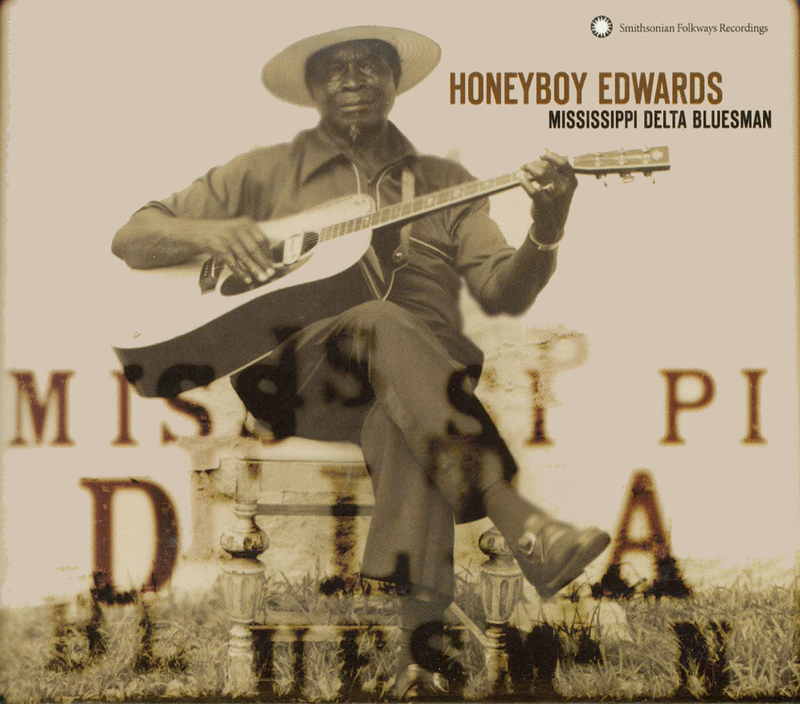 David "Honeyboy" Edwards embodies the continuity from blues' Mississippi Delta roots to electric Chicago blues. Honeyboy's string-snapping guitar riffs and soulful voice harken back to his friends and teachers Charley Patton, Big Joe Williams, Tommy Johnson, and Robert Johnson, who first forged the blues in Delta jooks and at country suppers during the Depression. Edwards crisscrossed the South in the company of such blues giants as Big Walter Horton, Sonny Boy Williamson, and Little Walter Jacobs. He settled in Chicago, where a post-WWII electric blues boom set the pattern for modern rock and roll. This recording captures him in a relaxed, unplugged, solo moment. Deep Delta blues from Robert Johnson's sidekick, whose searing vocals and stinging guitar bridge pre-war and post-war blues. Reissue of Folkways 3539. 44 minutes. 26-page booklet.